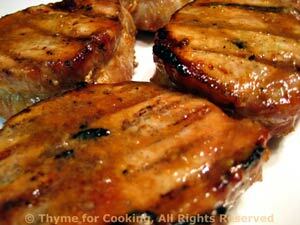 Orange Glazed Grilled Pork Chops, Thyme for Cooking gourmet menus. 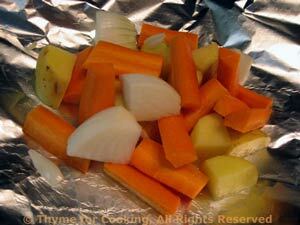 Vegetable packets on the grill! Summer cooking at it's easiest. 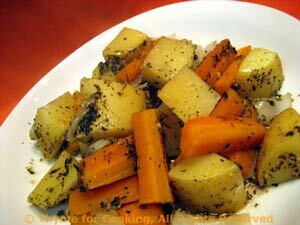 If there is pepper left, add it to the packets - and anything else that's lurking in the fridge. If you use tomatoes you don't need water or stock.